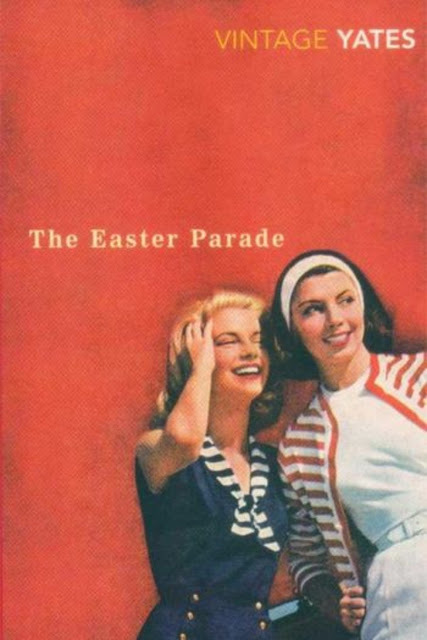 Easter Parade takes place in the 20th century United States, it is about two sisters struggling through problems that face may people in the US. We follow these sisters, Emily and Sarah, for four decades, through all of their ups-and-downs. This was the first Richard Yates novel that I read, mostly because of one of my favorite Booktubers Ange from Beyond the Pages. I saw that she read quite a few Yates, along with a bunch of other Booktubers that I watch and knew that while I was here in Europe I had to buy this book in the Vintage Red Spine edition. Although this book was surrounded by bleak circumstances, I loved it and very much connected to many of the things taking place in the book. I absolutely fell in love with Yates writing in this book, I deeply connected with Emily and found everything to be so real, so raw and beautifully depressing in truthful way. Yates does such a great job developing these characters to be so realistic, from their inner thoughts to the dialogue between siblings and lovers - if you don't relate to any of the characters in this book, even for just a scene or two, you are truly living a blessed life. Yates was incredible at capturing the feelings of these two women and how it is so common for people to go through life accepting their unhappy lives. His writing is so impeccable that I cannot wait to jump into the short story collection my friends got me for my birthday.